Our nonprofit is served by an active and hardworking Board, Staff and Volunteers who contribute time and talents to advance our cultural mission. 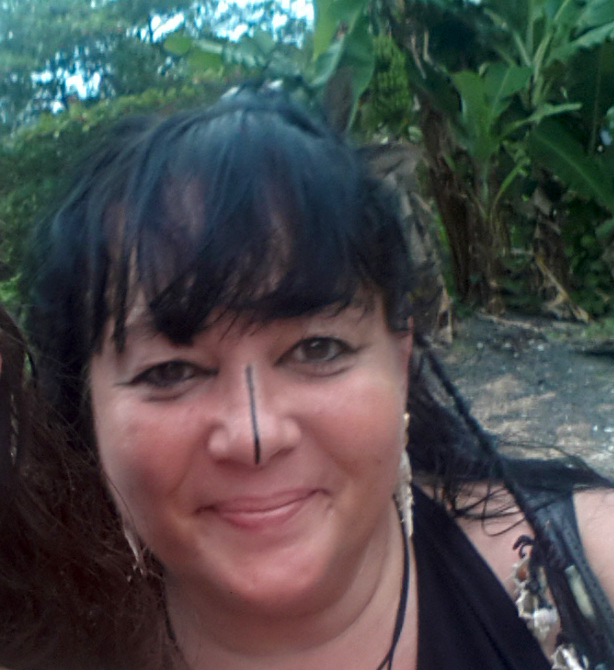 Dr. Ana María Tekina-eirú Maynard is a proud blood descendant of the native Tainos who call the island Boriken. Tekina-eirú founded Puerto Rican Folkloric Dance in 1997 as an all volunteer-run, nonprofit 501(c)(3), and since then, has become an expert resource on the mainland US for Puerto Rico's cultural traditions. 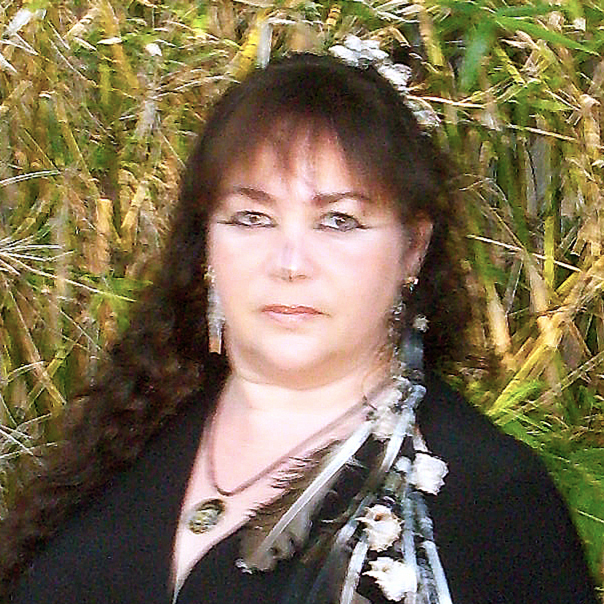 Tekina-eirú is Founding Executive and Artistic Director of the Puerto Rican Folkloric Dance & Cultural Center. She is a Master Certified Spiritual Life Coach (MCC, CLC, CSC), and a credentialed Associate Certified Coach (ACC) by the International Coach Federation. Ana María holds a doctorate in Electrical and Computer Engineering from Carnegie Mellon. Read Full Bio. Alejandro is a native of Pennsylvania, where he graduated from Villanova University, and has been living and teaching in Austin for 6 years. He was born to a Guatemalan mother and Puerto Rican Father. He has been teaching middle school math in Austin since 2013 and offers his passion for teaching to the percussion students at PRFD. 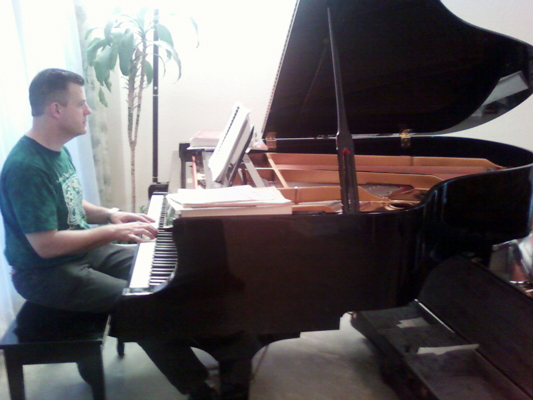 His interest in music came from his father and brothers. While he was a teen, they were on stage playing in the local churches worship team playing congas, piano, bongos and singing. Parrandas were a yearly tradition that exposed Alejandro to musical tradition of Puerto Rico such as plena, bomba, aguinaldos, musica jibara and more. After they taught him to play Latin percussion as a teen, in college he explored his interest in dancing. While at Villanova University, he joined an undergraduate performance team where he develope his skill in dancing and teaching different style of dance, such as bachata, salsa, chachacha, mambo. It wasn't until moving to Austin that he returned to playing percussion at the PRFD Center. 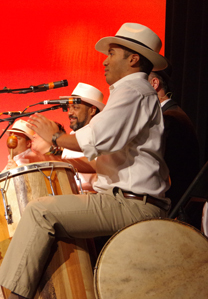 Since 2013, Alejandro has learned traditions of bomba and plena from master musicians from Puerto Rico such as Jorge Emanuelli Nater, Tico Fuentes, and Tito Matos. he has been an active member of PRFD since 2013 as a singer and dancer in the PRFD music ensemble. In 2017, Alejandro began teaching these traditions alongside David Maynard in advanced and beginner percussion classes. David Maynard is the President & Chief Technology Officer of OutServ (outserv.net), and a technical and business leader with over 15 years of experience in the design, engineering, delivery, and management of innovative information technologies. OutServ helps small and mid-sized businesses keep their technology infrastructure running smoothly. Their World-class IT operations provide inkind IT services to PRFDance. David was instrumental in developing the technology to build the first modern ISP. He integrated bootp, gated, cslip, and many other systems into a custom ISP terminal server years before such capabilities were available off-the-shelf. David added dynamic IP routing capabilities to allow dialup customers with static IP addresses to use shared modem banks. Prior to this, dialup customers with static IP addresses were traditionally set-up as a dedicated service. David's efforts resulted in a dramatically lowered cost to provide business class service at the dawn of the modern public Internet. David is one of the heros that made low-cost Internet service possible. During his son Williams active Boy Scout years, David enjoyed serving as Assistant Scoutmaster and District Training Chairman. He is a red belt in Tae Kwon Do, and is Tekina-eiru's husband. 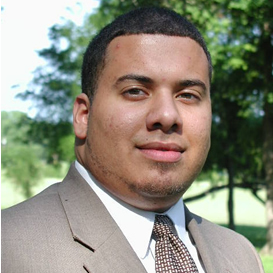 David lends his technical expertise in Marketing and IT Services to the Puerto Rican Cultural Center's Advisory Board. He is a member of PRFDance's musician ensemble and enjoys annual percussion and music workshops with Puerto Rican masters such as Tito Matos, Tico Fuentes, Raul Ayala, Jorge Emmanuelli, Orlando Laureano, and others. David teaches percussion to youth and adults. 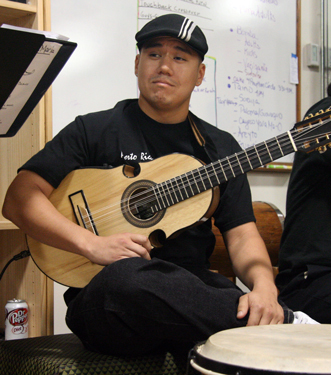 Adam Rosario has over 20 years of experience playing the Cuatro Puertorriquen~o. As a long-term member of PRFD&CC's performing company and teaching staff, he's attended extensive workshops with cuatristas Dr. Irvin Santiago Diaz, and Professor Orlando Laureano of the Conservatorio de Musica de Puerto Rico. Having recently retired after 20 years of service with the United States Army, Adam now devotes his full-time attention to becoming a better musician and sharing his passion for music with others. With roots in Arecibo, Luis Olmeda was born in Puerto Rico and raised in New Jersey. 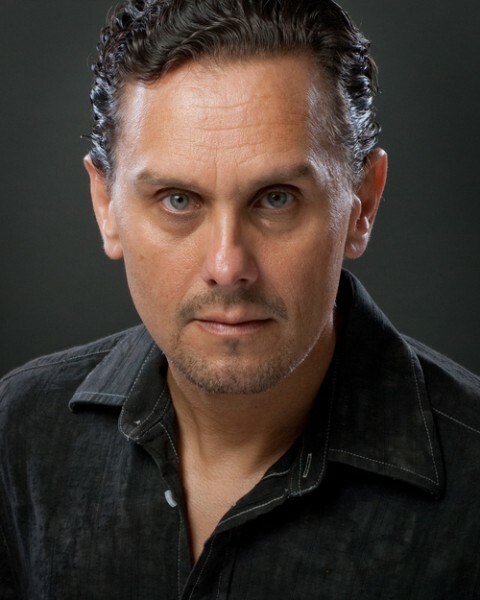 Luis is a professional actor who has been performing for many years. He started off as a paid Background Player, and in-between those gigs, he went on to perform in student, independent, and feature films, commercials, and stage productions. Luis has worked alongside with Director/Writer of 'Lost in the Son', Trey Nelson, starring Josh Duhamel (Transformers), Director of 'Manglehorn', David Gordon Green, starring Al Pacino (Scarface) and Holly Hunter (Crash). He also starred in a Lions Gate release film titled 'Beatdown' with Danny Trejo (Machete) and Rudy Youngblood (Apocalypto) as the Mobster Boss Gino Ganz. He also performed as a Mexican Drug Dealer in the Fox's TV hit show 'Prison Break', and performed in other features such as, 'Guilty', 'The M.O. 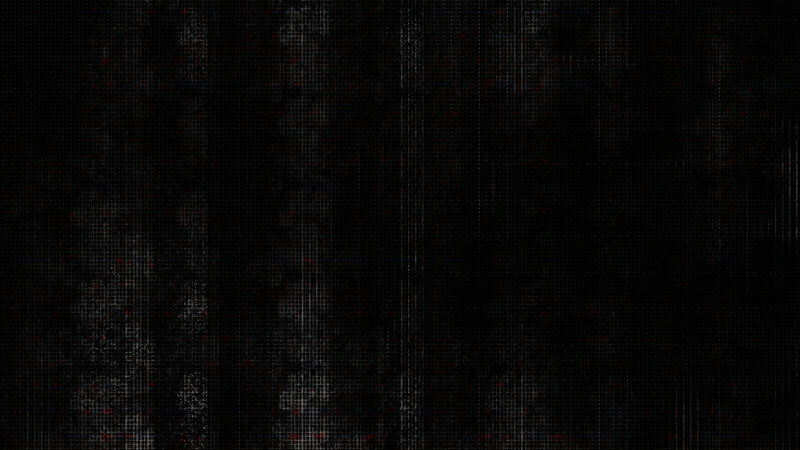 of M.I. ', and 'Rock Opera'. Luis has also work with Director/Writer Andrew Bujalski on 2 of his films 'Results', starring Kevin Corrigan (The Mentalist), and in a supporting role in 'Support the Girls', starring Regina Hall (Think like a Man). Luis Olmeda helps bring Puerto Rican cultural traditions and history to life through PRFD's original plays based in history, as an acting coach and script consultant. Tureyguanani' is a straight-A student who enjoys all her classes as well as dance of all styles! During her freshman year she participated in Cheer and the McNeil High Sapphire Dance team, where she won an award for best dance technique. In Fall 2015, she rose to the Majestics Drill team, and in her Senior year, the Majestic EliteCo. She is a medal winning participant of the McNeil High Westling Team. 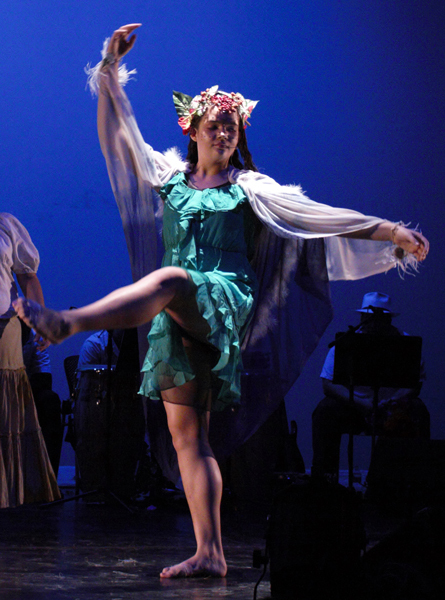 Exposed to Puerto Rico's folklore since birth, Maria has been participating in PRFD's cultural arts programs since the age of four. In 2015 Maria was promoted to Dancer in the adult performing company where she enjoyed taking workshops and sharing the stage with Masters direct from Puerto Rico (see Mom/PRFDance Director's bio). Maria began teaching Youth Dance in 2011, and taught folkloric and contemporary dance for PRFDance's Teen program until 2017. Maria currently assists with summer field research for for PRFDance's original bilingual musicals that bring to light untold stories in Puerto Rican history. Tureyguanani is a consecrated Tekina (leader of ceremonial dance) for her Taino pueblo, El Concilio Taino Guatu Ma-Cu A Boriken and enjoys dancing Areytos on the beaches, in the mountains, and on the bateys (ceremonial grounds). Dr. Maynard is the Founding Executive and Artistic Director of the Puerto Rican Cultural Center, founded in 1997 as a nonprofit 501(c)(3). It is the only cultural center in Texas and the Southwest affiliated with the Institute of Puerto Rican Culture for the offering of authentic, high-quality cultural programming. As the visionary since the cultural center's inception, her Executive duties span every responsibility required by a nonprofit Senior Executive. Read Full Bio. 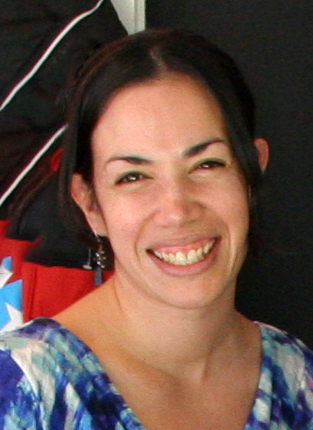 Jenny Irizarry-Deleza is the Puerto Rican Cultural Center's Board President and Secretary. She enjoys her fulfilling work at the Travis County Health and Human Services and Veteran Services Department who offer basic needs and services to the community through partnerships with state and local organizations. Jenny has been an active member of the cultural center since 2002, organizing fundraisers for major events. In January 2018, she rose to Rose Irizarry's Board President position after her mom retired after 15 years of service. In addition to her Board posts, Jenny continues as Fundraiser Lead for special events. She is also the Chair of the Damas Committee, a volunteer service committee who provides front-of-house and audience support for cultural center major events, and fundraisers through community-targeted social events. Raised in Puerto Rico, Ontiveros remembers a beautiful childhood in the mountains of Montadero, Quebradillas. In 1996 Ontiveros and mother moved to Austin, TX to begin a new life in the main land. Ontiveros has been involved with the PRCC since the age of 11 participating as a singer, dancer, and actor, including the lead in Expreso Pony de Boriken. 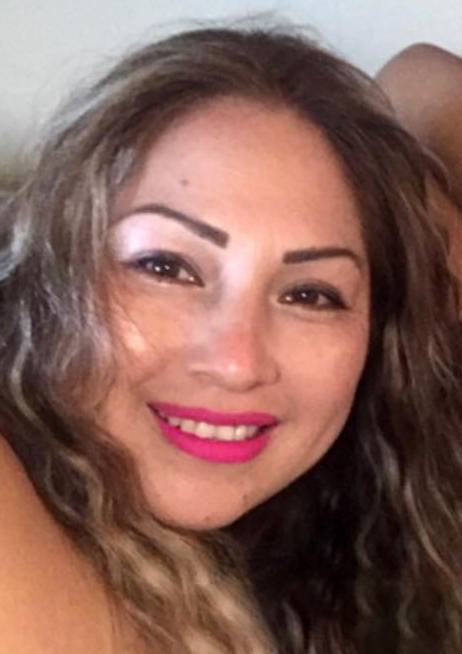 Currently, Ontiveros is an Entrepreneur helping people establish a home based business. She is the Puerto Rican Cultural Center's Board Vice President. 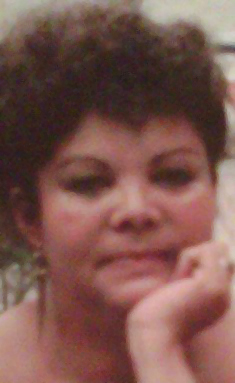 Iris A. Albizu-Rivera was born and raised in Puerto Rico. Ms. Albizu earned her Juris Doctor at the Inter-American University School of Law in San Juan, Puerto Rico. After obtaining her J.D. , she barred in Puerto Rico as an Attorney and Public Notary. Ms. Albizu started practicing in Puerto Rico and developed a clientele based in civil litigation with emphasis in Family and Estate Law. After moving to the Washington, D.C. area, she worked as a federal contractor with the Department of Justice in a complex high-profile litigation. 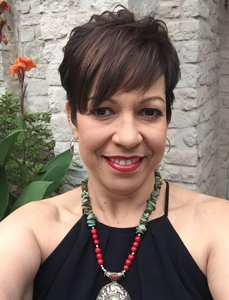 Now, having relocated with her family to Austin, Texas she opened Albizu Law Firm focusing her practice in federal controversies, especially in the area of Immigration. She also maintained her office location in Guaynabo, Puerto Rico where she practices with her father, Mr. Angel R. Albizu, Sr., to help individuals non-residents in the Island with their legal matters in Puerto Rico. For more information on legal services, please access www.albizulaw.com. 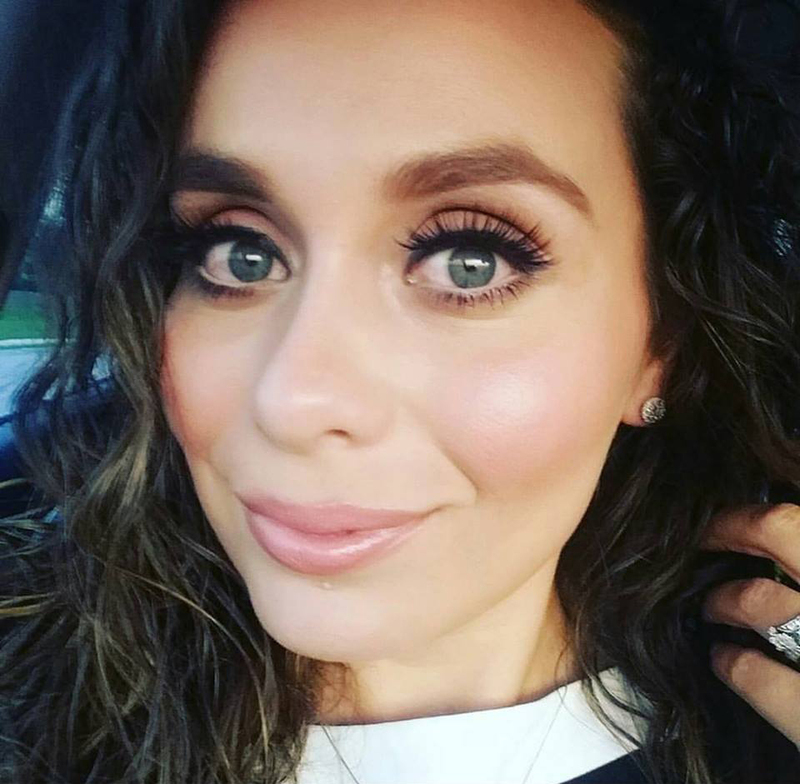 Ms. Albizu enjoys giving her time and expertise to different Non-Profit organizations and offering pro-bono legal services, and also has handled humanitarian immigration issues. She is an active pro-bono attorney for American Gateways and Bernardo Kohler Center in Austin, TX. 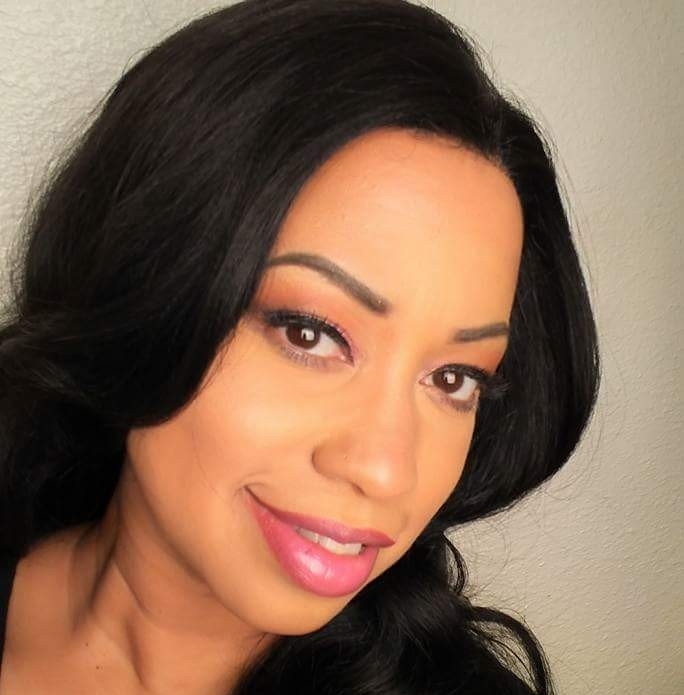 She serves as Legal Advisor for Puerto Rican Folkloric Dance, Inc. As born in the beautiful Island of Puerto Rico, Ms. Albizu is a Native Spanish Speaker. She is a mother of two beautiful children and her husband works as an Architect for an International company. Julio I. Cotto is Senior Vice President of the National Hispanic Institute and Director, Lorenzo de Zavala Youth Legislative Session. Julio joined the Puerto Rican Folkloric Dance performing company as a dancer in 2004, today participates in the music ensemble. He has served as PRFDance's Business Advisor since 2016. Born in Caguas, Puerto Rico (Savarona) of a Taino mother and a Puerto Rican/Spaniard father. At the age of 15 moved to NY where I finished high school. Married and have four beautiful daughters, three beautiful grand daughters, and two handsome grandsons. When my youngest daughter went to school I decided to go to college and received a BA in Accounting. Went to work for an oil company in NY. 15 years ago my husband and I moved to Florida and I love it. Now I am retired and helping my beautiful daughter, Ana Maria (Director) with PRFDance. I also watch two of my grand daughters after school. They keep me very busy but I still have time to help Ana Maria and work in my garden. Mother of Mia and Miranda Cazares, students of PRFD since 2010. I am very proud to be a part of this great Puerto Rican Cultural Center family, who taught My daughters the value of Cultures and the value of the human being. Betty is Lead of our Souvenir Inventory Team and supports sales, hospitality, and backstage assist for major productions. Sara is married to Jose and is a mother of two preteens Isabella and Philip. Sara has a Masters of Science in Social Worker which she received from the University of Texas in Austin. 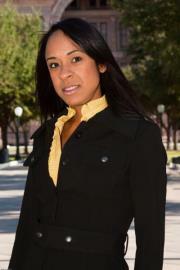 She currently works as licensed school social worker in the Austin Area. Sara and her family have been coming and attending classes at PRFD since Isabella was 6 months old and are committed to the mission and the community. Sara and her family have been back and forth between Iowa and Austin for schooling and are happy to once again be back "home". Zera Thompson was raised in Texas. She attended St. Phillips College in San Antonio, TX. (1992-1993) and afterwards moved to Austin to work for Dell Computer Co. (1993-1999). In 2000 she moved to Round Rock, TX. She changed career into the health field as a Certified Nurse Aide (2002- 2012) and continues to serve our community . She also started her own business Imajinu Artography by Zera in 2009. She is currently continuing her education in the Photography and Marketing program at Austin Community College in Austin, TX. Zera's children have danced in PRFDance's youth programs. Zera also has many other talents, including event planning, culinary, marketing, and photography, all of which she shares with PRFDance as time permits. Zera has been with PRFDance since Spring 2004, and served on the Board & Staff since 2005. A freelance photographer since 2004, Zera contributes her talent and expertise in Artography as PRFDance's long-time Company Photographer. She believes wonderful memories last forever with the perfect picture. Thanks to Zera's wide array of talents, we have many wonderful memories to enjoy over and over again! Edwin "Ed" Baez was born in the Bronx, New York and raised in Rio Piedras, Puerto Rico. With Mother from Rio Piedras, and Father from Camito, Edwin graduated from Rio Piedras Republic of Colombia High School. Afterwards, he joined the military (1978-1985) and graduated in military admistration and science communication. A 1993 graduate students from University of Texas at Austin, Ed is Technical Staff and teaches at the Dept. of Physics. Ed attended the Austin Graduate School of Theology Associate Ministries of Jesus Cristo (2002-2004) and is member of the Royal Ranger SR Commander at a Pentcostal Church. A Southwest Key Charter School board member since 1993, he has also worked an AISD P.E. Teacher (1993-2000), and an afterschool Instructor in basketball and flagfootball. Ed has a beautiful wife and one son at U.T. (mechanical engineering), the other at San Marcos Baptist Academia. 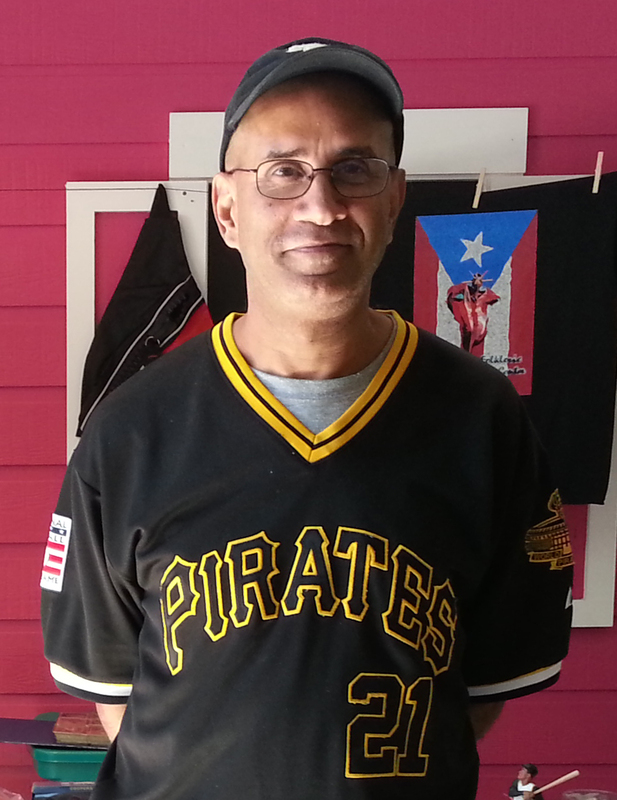 Edwin is a "die hard" Roberto Clemente fan and travels to Puerto Rico and New York to collect baseball and basketball cards. Ed loves to teach children how to start up sports cards collections and plans to have a card shop when he retires. Edwin is thankful to God for the blessings in his life. In addition to the Advisory Board members listed above, PRFDance is served by additional professionals who make themselves available for inkind professional consultations. Joe is an professional accountant working for Travis County. He served as long-time Accountant and Board member of Roy Lozano's Ballet Folklorico de Texas, a 30-year old performing arts organization dedicated to Mexican folkloric dance. He has been PRFDance's Accounting Advisor since our 1997 inception. Rose Massanet Irizarry was born in Milwaukee, Wisconsin, of a Puerto Rican father and an Italian mother. She fondly recalls her childhood growing up in both cultures. Rose moved to Mayaguez, Puerto Rico in 1953, learned Spanish and graduated from the Catholic University of PR. She received a Master's Degree in Medical Technology from Wayne State University. After marriage and living in Puerto Rico for over 20 years, all of the family moved to Texas in 1977. 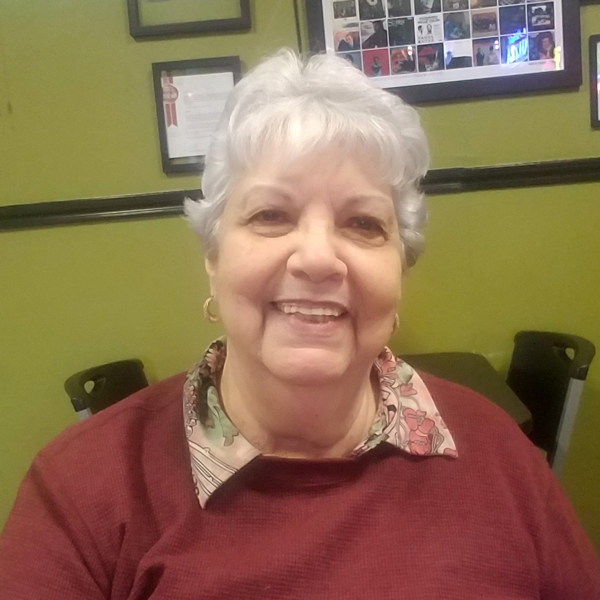 Rose became involved with PRFDance when her three granddaughters started taking dance classes in 2002 and daughter Rose joined the Performing Company and became the Youth Choir Teacher. She enjoys the family environment of PRFDance. Rose has been serving on the Board of Directors since 2002. In January 2018, after 15 years of service, she retired from her position as Board President & Secretary, and continues on the Advisory Board to contribute her expertise and experience on our nonprofit's policy and history. Contact us if you feel a calling to join our volunteer-run nonprofit mission.